We are in a renaissance of sorts in the hip hop world. There are albums being released at every turn and artists are putting some of their best work out currently. With all of these new releases coming our way and a multitude of different sounds gracing our eyes at the halfway point of the year, I wanted to take a look back and discuss a few of the albums that truly have surprised me or impressed me this year to an extent. 2018 is off to a great start musically and we know there is much more to come, but let's take a look at 7 albums released so far this year that have been important and interesting listens. Which albums grace this list? Read on and find out. -The newly released five song EP isn't so much an album, but it is a new project that has severe importance to the genre. Granted, I've just listened to it as I write this, but it is an amazing project from start to finish over the short 5 song duration. 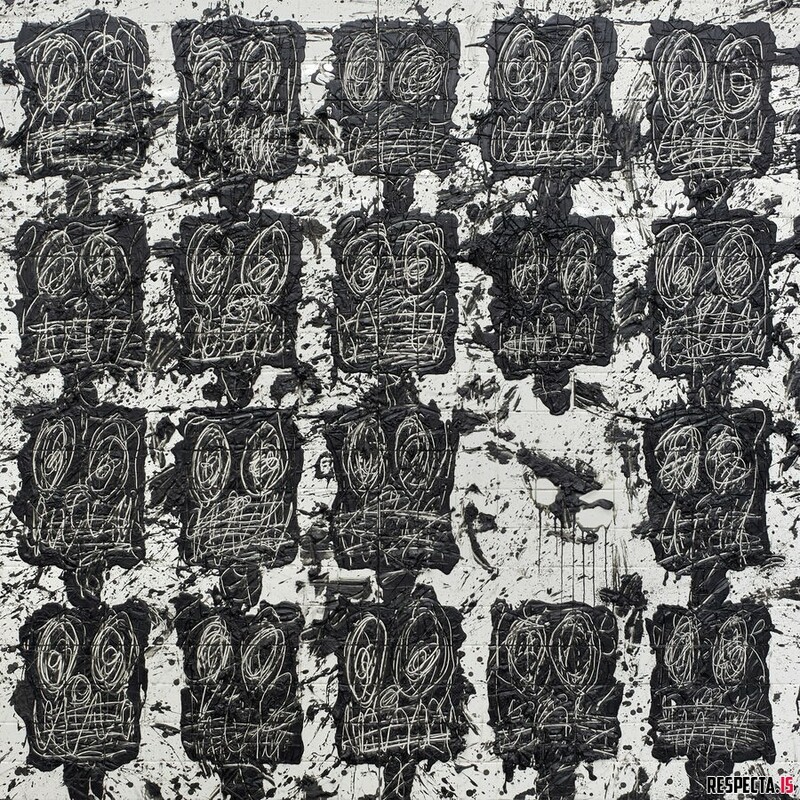 Black Thought brings his best lyrics while 9th provides some of the top tier production we know and love him for. Aside from that, the project has features from Rapsody and Styles P, and it leaves you wanting more by the end of it. 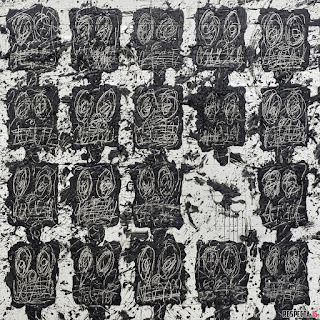 I will admit that it isn't satisfying to finally get that Black Thought solo release with 9th Wonder producing and only have 5 tracks, but I guarantee you'll be running each and every track back multiple times. That's actually the beauty of what it seems like is going on with a number of projects this year. Less is more. Always leave the consumer wanting more and with tracks like "Making A Murderer", "Thank You", and "9th vs Thought", along with the knowledge that this is merely Vol. 1, we can rest easy knowing Thought and 9th have more to come. -I was never a huge Nipsey Hussle fan, but I'll be honest, he gave the world a solid album with his most recent release. I've been a fan of what Nipsey has done outside of music and that's why I gave this album a listen and for the most part, I wasn't disappointed at all. 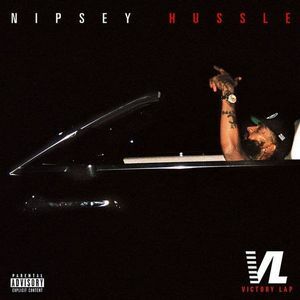 Nipsey sounds more confident than ever on this album, weaving through solid production from Jake One, DJ Khalil, Mike & Keys, along with other solid beatmakers. The guest appearances are top notch as well, as YG, Kendrick Lamar, Puffy, Cee-Lo Green, and more assist Nipsey. The highlights on this album are "Loaded Bases", "Hussle and Motivate", "Blue Laces 2", and "Dedication". All in all, Nipsey does what he does best and delivers a solid album as a result. 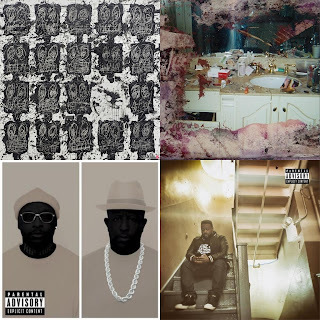 -After listening to PRhyme2, I became more intrigued to hear other Royce Da 5'9 music. Make no mistake about it, the Detroit lyricist is an extremely talented artist and he has seemingly found a lane for himself and his talent in this era. After an up and down career for the better part, Royce has never sounded as good as he does on his last few albums. 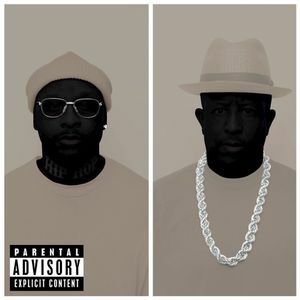 His seventh album Book Of Ryan comes just two months after PRhyme2 and this one is full of scorching verses and booming production. With Illmind, Frank Dukes, Cool & Dre, and a number of other producers crafting the sound, Royce sounds relaxed and comfortable on each verse. Despite a slightly exhausting tracklist with a few small filler tracks, Royce manages to deliver on mostly every song, with guest appearances coming from a number of great artists such as Pusha T, Jadakiss, Fabolous, Eminem, Marsha Ambrosius, Robert Glasper, and J. Cole. The highlights on the album range from the Cole assisted instant classic "Boblo Boat", the Mr. Porter produced "Legendary", and more. 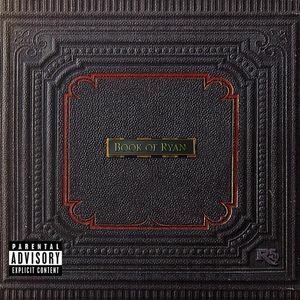 Book of Ryan isn't a flawless album, but it is a really good listen from start to finish. -The runaway pick for album of the year is just as good now as it was a few months ago when it released. In this era of music that quickly loses replay value and doesn't have staying power, Phonte would release an album that might just stand the test of time and get the classic label. We've heard discussion of what a mature rap album sounds like, especially after Jay released 4:44 last year, but Phonte steps in and shows them all how it is truly done. This is nothing new for Phonte either. 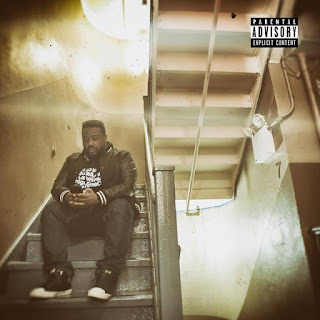 After releasing albums with more mature content over the years, including his solo debut Charity Starts At Home and the Foreign Exchange albums, Phonte takes a look at his truth and in some ways, his own morality. With this glimpse into his personal world, his life, fatherhood, and tougher thoughts about what may come, Phonte showcases a poise and honesty that most MCs tend to shy away from. With guest appearances from Freddie Gibbs and Eric Roberson, Phonte brings amazing tracks like "Euphorium (Back To The Light)", "Sweet You", "Such Is Life", "Expensive Genes", "Pastor Tigallo", and my favorite "Cry No More". This is a short project that leaves you wanting more, but still hits every cylinder it needed to. I doubt anyone dethrones Phonte for album of the year. That's how confident I am in this project. -It might be interesting to see Royce make this list twice, but that's the kind of year it has been for him. Working with the legendary DJ Premier again for yet another album, Royce would deliver in a major way on an album that features Big K.R.I.T., Dave East, Roc Marciano, Rapsody, and more. While I've never been the biggest fan of Royce, I will say that he delivers lyrically throughout this project, and with tracks like "Everyday Struggle", "Made Man", "Loved Ones", and "Sunflower Seeds", nothing about PRhyme2 disappoints. Is it better than the first? That's debatable, but this is definitely a highlight on the year. -In reality, when we talk J. Cole and his career, there are so many things that make him who he is. His ability to discuss topics that are dear to him definitely has worked well in his favor over his short yet slightly prolific discography. For me, I'm not a huge J. Cole fan personally, and though I don't have much of his albums in my personal playlist, I did enjoy his newest work and gave it multiple listens. The sound somewhat branches out of his usual comfort zone, as Cole tackles addiction on his new album in a multitude of ways. 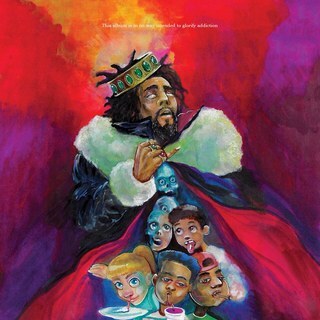 Whether discussing the addiction that we have with money on "ATM", tackling the concept of doing the right thing on "Kevin's Heart", addressing the nature of taxes on "BRACKETS", or even the final track "1985", Cole seems more at home on this album and delivers some of his best songs in his catalog. Is K.O.D. the best album in his catalog? That is debatable, but it is definitely a highlight so far on the year, just not in the top tier album of the year running. -This album/EP has been the topic of discussion so far in the hip hop world over the last week. While the talk will likely move over to Kanye and his new EP very soon, Pusha has had his moment in the spotlight so far with this short but sweet listen. 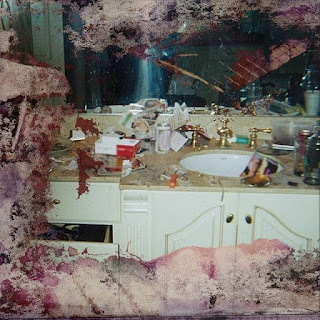 At 7 songs, the EP/album leaves the listener wanting more, as Pusha carves through some of the best Kanye production in years with a sharp precision. Lyrically, Pusha is in a class of his own, as his style is impossible to mimic, and he executes why he's seen as a premier rhymer on multiple occasions on this EP. For me, this is the second best release of the year, as tracks like the booming opener "If You Know You Know", the controversial "Infrared", and "Santeria" are all instant highlights on this project. Pusha has all the momentum with his Drake beef and this EP, and he managed to deliver on both.